Walter Figueiredo De Simoni is program officer at the Institute for Climate and Society, which funds nonprofits working on climate policies in the power, transport and waste sectors in Latin America. This is the fifth Q&A in a weeklong series celebrating Earth Day 2016. Having grown up in the countryside in Brazil, I was always interested in environmental issues. I remember how the Kyoto Protocol was a big part of the international climate debate in the early 2000s. It was also the topic of several of my high school academic projects. During college, the more I understood about development, the more I realized that environmental issues would be the defining challenge of my generation. I tried to balance my economics degree with a major in environmental studies, which quickly turned me into the “hippie” of my economics discussions and the “heartless capitalist” of the environmental ones. This actually puts me in a good position to understand both sides of the debate and bridge the gap. My father worked in the mining industry his entire career. His field is practically the poster child for disaster. In spite of that, he paid attention to environmental and social issues every step of the way. Watching him from an early age, it never crossed my mind that economic development, environmental protection, and social issues were a trade-off. He really took his work to heart, made some “unpopular” (or perhaps unorthodox) decisions that prioritized local development and transparency, and still remained a successful private sector leader. He showed me how good leadership can change a field. While he was CEO, the mining company was elected the most sustainable company in Brazil. If a mining company can achieve that, anything is possible. The work I’ve done since joining the Institute for Climate and Society has been incredibly rewarding. Working on urban mobility is a way to make climate change a more concrete issue, since it affects people’s economic opportunities and access to healthy air quality and safety. I enjoy bringing institutions from different sectors with different outlooks together to find solutions to common goals. Bringing technical institutions together with local advocates has been particularly interesting. Both sides benefit greatly from these interactions, making technical work more impactful and advocacy more legitimate. I also enjoy supporting budding initiatives in important areas, such as the pedestrian and the bicycle movements. These people are passionate, knowledgeable and want to build a better city. It feels like a great privilege to be able to support them through grants, convening key players, and facilitating networking efforts. It’s not very poetic or romantic, but I would urge government leaders to try to better understand human behaviors. We bet too highly on our ability to make rational decisions, and we keep getting disappointed by the results. Climate change is a classic example of this pitfall: We slowly walk towards a somber future, and yet, as a society we do not make structural changes to how we live. This irrationality is present everywhere, from the way we eat, to the way we drive, to the way we consume materials goods. So when you are building national policies, using game-changing technologies, or financing massive projects, think about whether you are making those decisions based on how people should react, rather than on how they will react. It seems like splitting hairs, but it really makes all the difference. I have been lucky enough to work on climate change issues in various different roles. I worked as a consultant, doing corporate strategy work for different sectors, from oil to cattle. 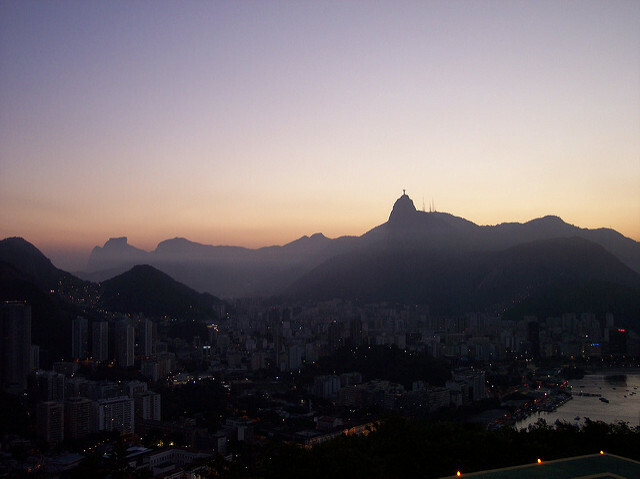 I worked as a policymaker for the state of Rio de Janeiro. Now I am a grantmaker, working closely with numerous civil society organizations with a focus on urban mobility. I have been able to look at the same issue from different lens and that has kept things interesting. Climate change is complex and the solutions must come from a combination of public, private and social efforts. Seeing that there are many people working toward a common goal and that each piece is a part of the puzzle keeps me excited about things to come. What do you hope can be achieved in the next decade? I have very high hopes for a future where societies are just, equitable and sustainable. The roadmap to this future will take us through deep cultural shifts, a reevaluation of our current consumption model and structural changes. To get there, we need to deploy accessible and affordable solutions for everyone. As long as a sustainable future takes considerable personal sacrifice, we will not be able to make enough changes in time to avoid broader and more permanent damage.